Herbs perennial, rarely shrubby or treelike, often with bulbs, corms, rhizomes, or tubers. 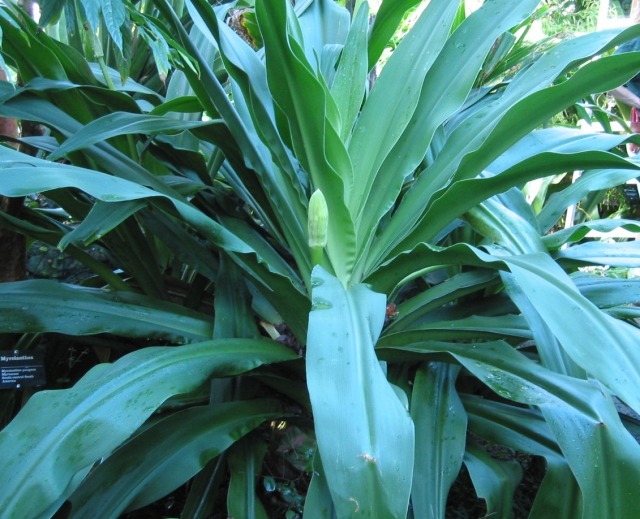 Leaves basal or cauline, often narrow, margin entire or spiny. Inflorescence a terminal spike, umbel, raceme, panicle, or flowers solitary. Flowers bisexual, actinomorphic or zygomorphic, usually subtended by 1 to several spathaceous involucres. Perianth segments 6, in 2 whorls, free or connate to form a short tube, with or without a corona. Stamens 6, inserted at perianth throat or at base of segments; filaments sometimes basally connate; anther dorsifixed or basifixed, mostly introrse. Ovary inferior, 3-loculed; ovules few to many per locule; placentation axile. Style slender; stigma capitate or 3-lobed. Fruit a capsule, usually loculicidal, sometimes dehiscing irregularly, rarely a berry. Seeds with endosperm. Qian Xiao-hu, Chen Sing-chi, Hsu Yin, Hu Zhi-bi, Huang Xiu-lan & Fan Quan-jin. 1985. Amaryllidaceae. In: Pei Chien & Ting Chih-tsun, eds., Fl. Reipubl. Popularis Sin. 16(1): 1--42. More than 100 genera and 1200 species: tropical, subtropical, and temperate regions worldwide; ten genera and 34 species (14 endemic, four introduced) in China.